Keep The Inside Of Your Garage Warm: Whether you keep it heated with a furnace or pack in extra insulation, your garage needs to stay at least above freezing temperatures so that all of your gears and springs stay functional. Many garage doors already have insulation built into them so that your garage will be guarded against any icy winds. Charge The Batteries In Your Garage Door Opener: A lot of car owners already know that extreme cold can be the death of any battery. If you don’t want to be stuck outside wondering why your garage won’t open, make sure that both your remote and the opener itself are fully charged for maximum capability. Lubricate Your Springs Often: Lubrication has a tendency to lose viscosity in the cold, and your garage springs won’t be able to move up and down without it. To prevent any mishaps during the temperature drop, fully lubricate your door throughout the season. 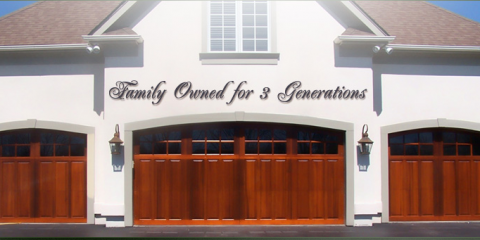 Felluca Overhead Door has been in business since 1932, and they have the largest inventory of garage door products in the area. Whenever you need a garage door repair or installation, call Felluca Overhead Door at (585) 467-2391, or visit their website for more information.